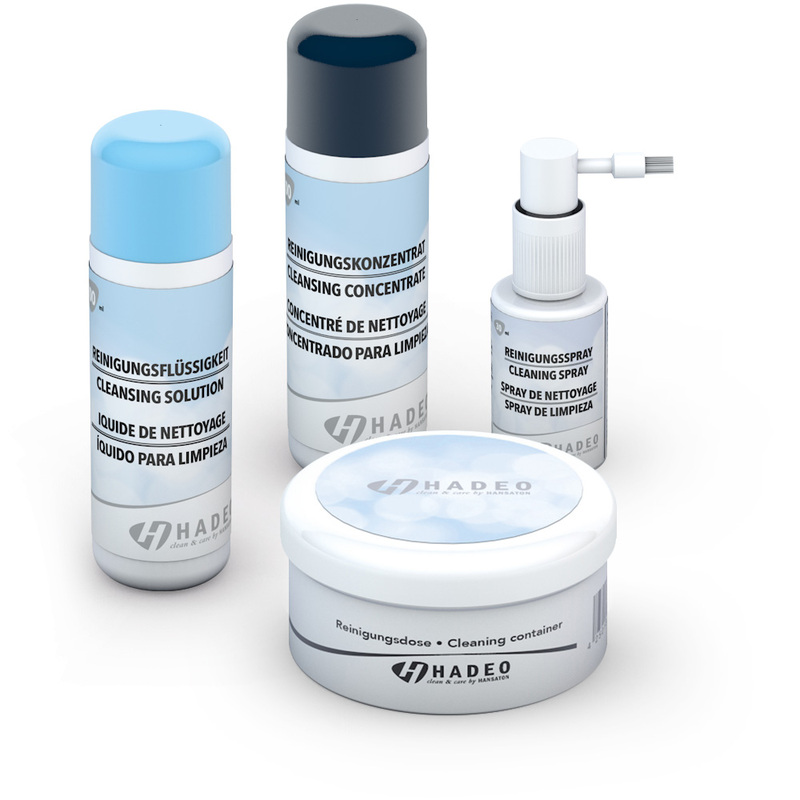 Hearing systems require special, ongoing care and maintenance, which is why HANSATON developed HADEO, its own line of care products that are specially adapted to the needs of high-quality hearing systems—quality products for cleaning by hand and for electronic care. Available individually or as part of a set. Customers are especially fond of the HADEO DRYBOX 3.0 AVANTGARDE. Its 3-phase cleaning process uses a special new form of UV radiation, effectively reducing germ counts to clinically pure levels. When used properly, conventional care products such as HADEO cleaning cloths or HADEO cleaning tabs also guarantee excellent hygiene and long hearing system life. HANSATON has a wide variety of accessories for your hearing system to make your day-to-day life even more pleasant. Find out more about the benefits we have picked up from the multimedia world and transformed into small but beautiful high-tech solutions.